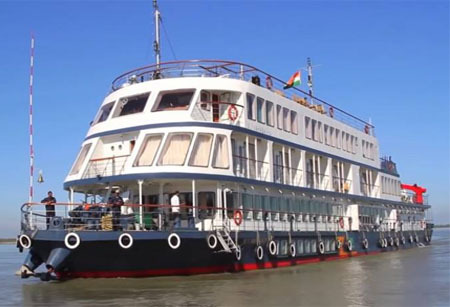 India and Bangladesh will start a cruise service from Friday that would take passengers through the Sunderbans to Dhaka, a senior MEA official said. Addressing a conference on Multipolarism in Asia: Issues and Challenges, Vikram Doraiswami, Joint Secretary at the External Affairs Ministry, said the move is aimed to strengthen inland waterway routes between the two countries. “We have inland waterway routes with the signing of a protocol on the use of a certain set of rivers. We are now going to start cruise services between India and Bangladesh from Friday. Essentially what will happen here is people would have the option to travel through the Sunderbans on a luxury vessels up to Dhaka and back with border formalities being done at the crossing points in both countries,” he said. He said other than road and rail, India and Bangladesh also have a very strong power connectivity. “We have started the movement of goods using the inland waterways, so goods from India can go in the cheapest possible form up to Narayanganj and Dhaka. Bangladesh was the site of largest visa operation with 14-lakh visas given to Indians to Bangladesh. About 2.6 million (26 lakh) Bangladeshi nationals visited India last year. The quality of connectivity is what stands in the way and need to be worked on,” he added.